For a limited period of time, the sheet music of my organ work ‘Lament’ is available for free (sent to you by email in PDF format). All you have to do is send a message (click here) requesting it. ‘Lament’ is based on an improvisation I recorded on the pipe organ in Jørlunde church in 2009 (see the above video). 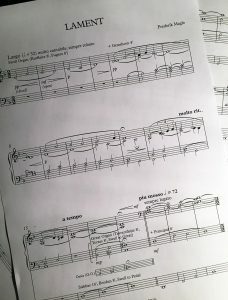 The written adaption have been altered and refined, whilst keeping the structure and melodic lines – as well as the “feel” – of the original improvisation. 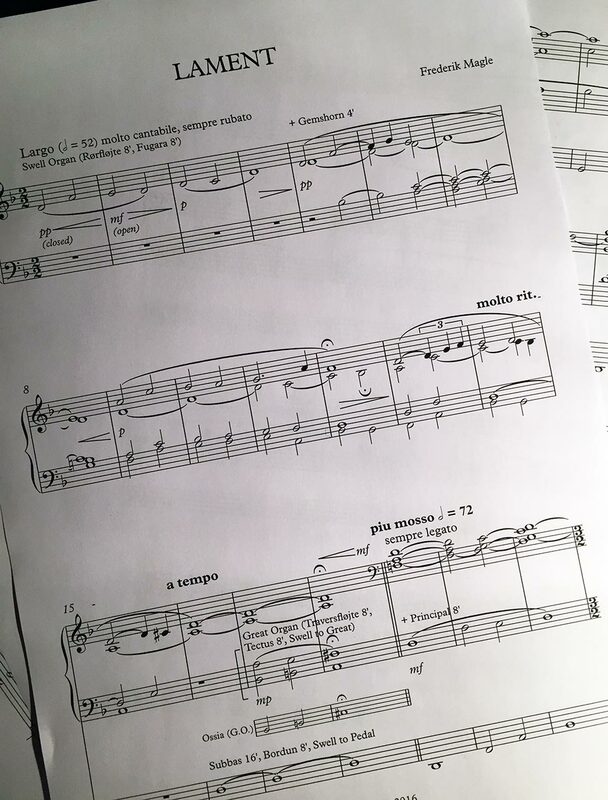 I gave the premiere performance of the new sheet music version in Saint Paul’s church, Copenhagen, on June 12th. 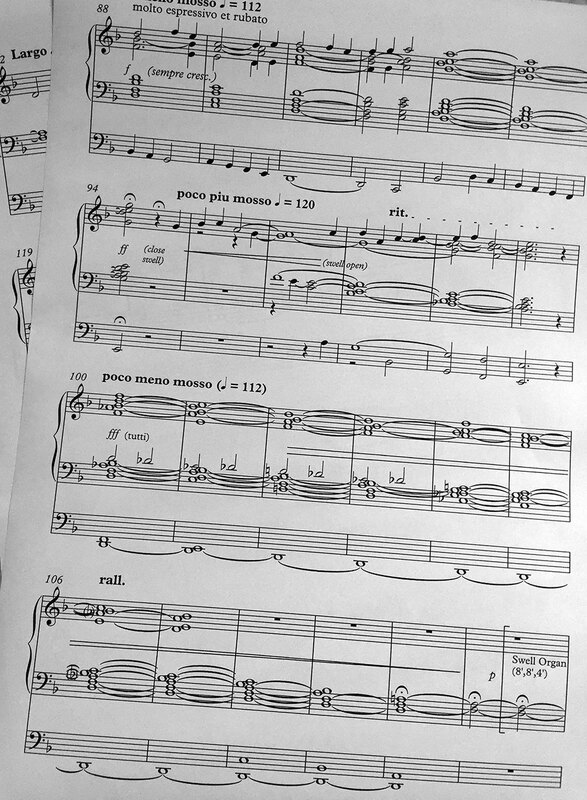 Since then I have made some further improvements of the score, and now the finished edition is ready. UPDATE July 20: Thank you all for the interest in Lament. I reply to every request. If you have not received the sheet music by email within two days after sending the request, please check your spam filter. 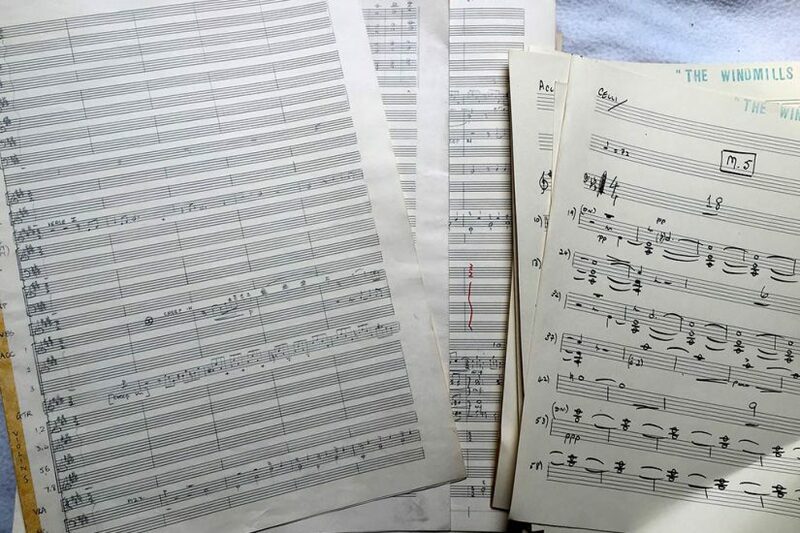 If it’s not there, then please write a comment on this blog post or send a message on facebook letting me know, so we can arrange for a different method on transferring the sheet music. 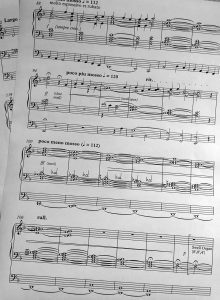 UPDATE January 12, 2017: I have made a revised version of the beginning of the work, including an alternative (ossia) line which the organist can chose to play should he or she prefer. I had for a long time been unable to decide between the two versions because they each work very well, but in different ways, and finally I decided not to decide but instead leave the decision the organist. I can also announce that I am currently working on adapting ‘Lament’ for violin and organ as well. Contact me should you be interested in that version which I hope to have ready within a month. UPDATE April 11, 2017: Adaptions of Lament for violin and organ, viola and organ, and cello and organ are now available! Please send a copy of Lament for organ. Thank you. Please could you send me a copy of your Lament for organ? Thank you. Please sent me a copy of your Lament. Thank you! Would you be so kind and send a copy of Lament for organ to me? Please send a copy to me. Thanks! Lovely! Please send a copy of your Lament for organ. Thank you! Hi, please send me a copy of your Lament piece for organ. Many regards and thanks. Michael from NC. Such a lovely piece. Please send me a copy. I can’t wait to get started on it. 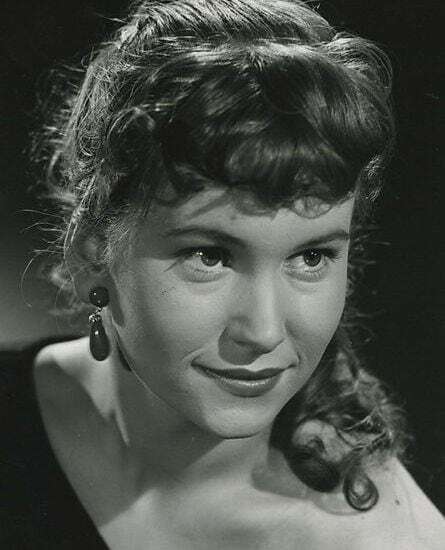 Great beauty and inspiration. I would love to learn it and be able to share it. Please send me a copy of Lament for organ. Thank you. Hi Frederick,I would love to inquire about a copy of the majestic Lament, best regards Gideon. I look forward to performing the work Lament that I hopefully will receive! What a beautiful piece. I would love to learn it. Please send me a copy. 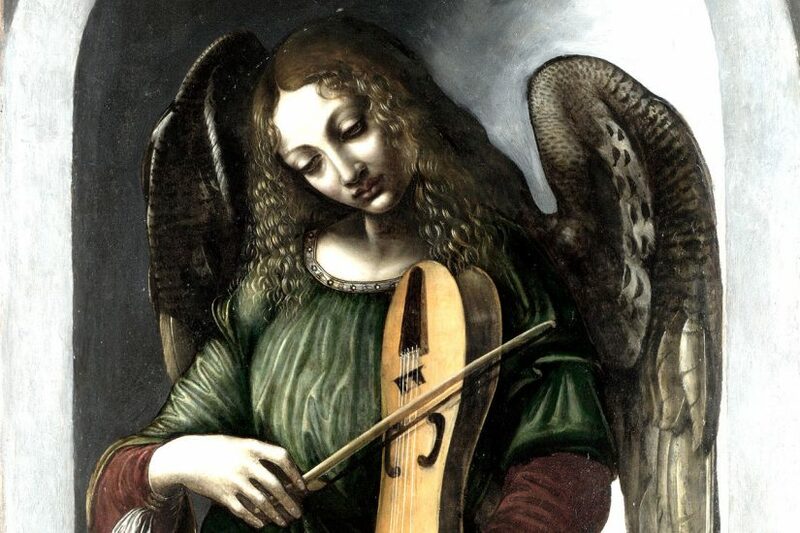 Thanks for your generosity in sharing this wonderful music. Please send a copy of your Lament for Organ. Will you please send Lament to me? Thanks very much! Could you send me Lament to me? Thank you very much for sharing! Please send me a copy of Lament at your convenience. Thank you. Hello. Would you be so kind and send me a copy of Lament? Best regards and thank you. Please sent it for me. Thank you ….. Best regards …. Grazie per la preziosa opportunità !!! I would greatly appreciate a copy of the “Lament” score. Thank you so much for writing this beautiful composition. I would very much appreciate a copy of “Lament”. Thank you for your generous offer; it will be an honour to present this work to what I know will be appreciative audiences. I would appreciate a copy of this sheet. Thank you very much! I would very much appreciate a copy of “Lament”. Thank you so much for emailing it to me. Potrei ricevere anch’io una copia del “Lament of organ”. Can u send a copy of “Lament” ? Thanks. It’s really kind of you, I would like very much to get a copy of your Lament. Thanks, have a nice day! I would very much like a copy of Lament. Hauntingly beautiful. If you would. Please send me the copy of “Lament” to the address provided, and thanks for your kindness. Best Regards. Quite impressive…. enjoyed it very much. I am a church organist. Please could you send me a copy. Now I shall have both to compare. Please send me a copy of Lament. I would be very grateful to receive a copy of your lovely “Lament” for organ. Thank your for sharing it with us. I would be grateful to receive a copy of your “Lament”, please. Would you mind if I attempted an arrangement of it for brass band/ensemble? Hello Lindsay, I have sent you a copy on facebook. You shall be welcome to make an arrangement for brass of Lament! I’d love a copy of ‘Lament’. with your permission, I will record a performance and post it on my YouTube channel. I would love to have a copy of “Lament”. You are a brilliant composer and artist. Sublime piece. May we add it to our service of Memory? We would love to have this piece in our repertoire. Bravo! I would love a copy of your Lament. It would work beautifully on the new Fisk organ at my parish. Thank you in advance! Very interested in receiving a copy of your Lament for Organ. I am the organist at Trinity Lutheran Church in Ann Arbor, MI and always love to add new music to my repertoire! Thank you! Please send me a copy of your Lament. Ellen Breitsprecher on All Hallows Mass: New English translation. Copyright © 2016 magle.dk. All Rights Reserved.